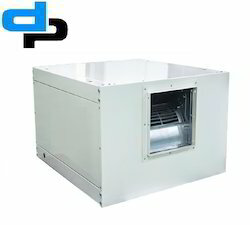 Ductable Fan Coil Units are featured with corrosion resistant heavy gauge galvanized steel casing that is attractively finished. 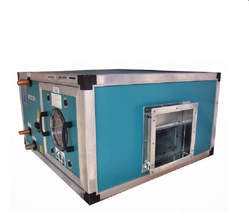 These coil units are stringently tested on various predefined parameters in order to ensure quality. We are among the noted names in the industry, manufacturing and exporting Ceiling Concealed Fan Coil Unit for our revered customers. The offered units are designed in strict compliance with the industry standards and are characterized by low height and compact design. We are engrossed in presenting a superior-grade collection of Floor Mounting Fan Coil Units. 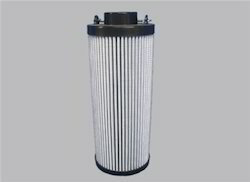 Available with us in a variety of sizes and provisions, we provide these to our patrons within the assured time period at their end as per their requirements. With an aim to stand tall on the expectations of our esteemed clients, we are offering Horizontal Fan Coil Units which come with statically and dynamically balanced Centrifugal blowers for ensuring quieter operations. 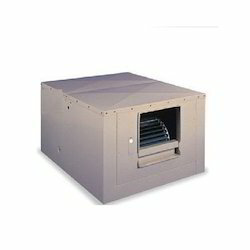 Our range is engineered to control air conditioning system of a room and buildings. Offered range is installed in several commercial sectors like offices, malls and shops for maintaining the inner temperature. 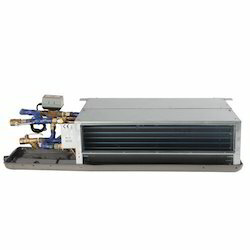 This fan coil unit is available in G.I. construction; these are suitable for ceiling suspension. 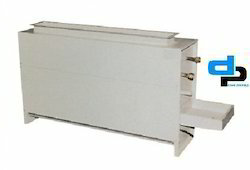 We are able to offer Industrial Fan Coil Units. 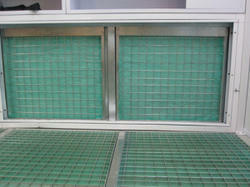 This coil unit is used in pharmaceutical and biotechnology industry for cooling purposes of air handling unit. 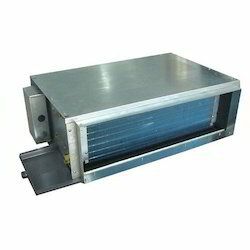 Our Chilled Water Fan Coil Units vary are offered in the range of 1.0 to 2.5 tons with DX chilled water or heating coils for cooling & heating purpose. The units can be either placed on the floor or suspended from the ceiling. 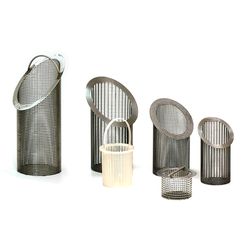 The cooling coils are made of copper tubing and sine wave aluminum fins with vent valve for air removing. 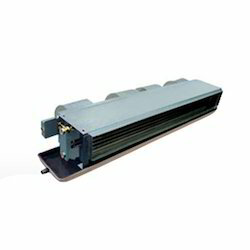 Looking for Fan Coil Unit-Manufacture,suppliers in india ?